The Africa GeoPortal is a one stop shop portal for geographic data, comprehensive web gis tools and training. It is free for single users residing, supporting efforts or working in Africa and aspires to be a collaborative community. Africa GeoPortal is a sustainable repository for data and platform for solutions and services that comes with the backing of Esri to maintain it with storage and the latest tools moving forward. Africa GeoPortal will benefit everyone from a student to international development organization and a start up to government. It welcomes partners too that have value add services and share the same vision of enabling technology. The Connect-World magazines are a forum for the highest-level ICT decision makers, to discuss the impact of ICT upon regional development. TechChange provides online training in technology and social change. Around the world, implementers in public health, emergency response, and monitoring and evaluation struggle to solve pressing issues with limited resources. We connect them with relevant content, experts, and certification using our unique online social learning platform. Our platform facilitates best practice sharing, builds professional networks, and integrates a number of dynamic features for both real-time and on-demand interaction. We love this work because we know the technology-enabled individual who has the ability to learn from others in their field can play a vital role in saving and improving lives a long way away. TechSoup creates new ways for NGOs to access technology, new paths to connect, and new means to develop skills. Our goal is to help NGOs operate at their full potential, so that they can deliver their programs more effectively and better achieve their missions. ResilientAfrica Network (RAN) is the largest network of African universities for advancement of resilience of communities to recurrent shocks and stresses by leveraging science and technology to innovate transformative solutions. RAN’s Theory of Change states: “The resilience of people and systems in Africa will be strengthened by leveraging knowledge, scholarship and creativity to incubate, test, and scale innovations that target capabilities and reduce vulnerabilities identified by an evidenced-based resilience framework”. A non-profit platform, RAN a multi-country project headquartered at Makerere University School of Public Health was established in 2012. RAN brings together 20 universities across 13 countries in Africa as well as two US-based universities: George Washington University which supports RAN on resilience framework development and operationalization while Stanford University provides support in innovation process development. Functionally, RAN universities are clustered around four regional Resilience Innovation Labs (RILabs), our centres for sourcing, incubating and scaling innovations. The Eastern Africa RILab is led by Makerere, Southern Africa RILab by the University of Pretoria, West Africa RILab by the University for Development Studies, Ghana and the Horn of Africa RILab by Jimma University, Ethiopia. To-date, RAN has supported and is incubating over 330 Innovative Solutions (95 funded and 235 non-funded but benefiting from RAN’s capacity building arm) in the fields of Renewable Energy, Water and Sanitation, Agriculture, Food Security, Global Health, Education, Financial Inclusion, Gender, Social Change, Arts and Humanities among others. Details about these Innovations and RAN at large are shared on www.ranlab.org, Twitter -@AfricaResilient, Facebook-Resilient Africa Network. 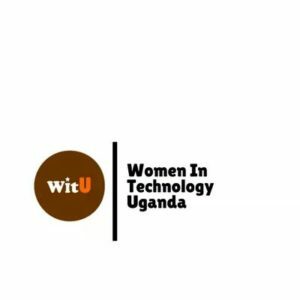 MISSION: To support young women in local capacity building and skills development for innovation, technology and entrepreneurship in Uganda, offering a collaborative environment for training, mentorship, and knowledge sharing in order to drive social and economic development in the region.